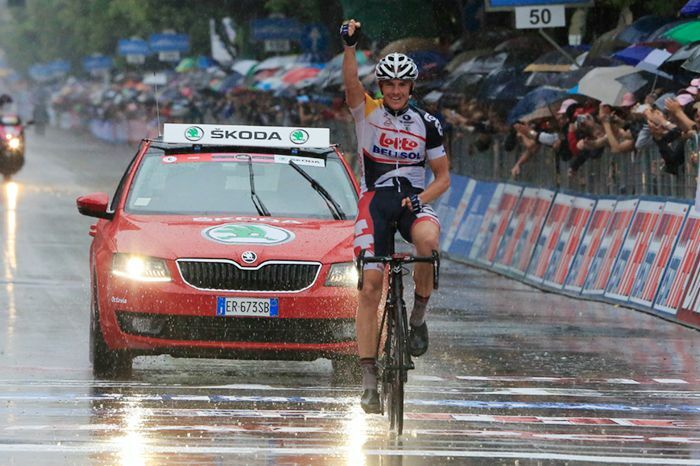 Lotto Bellisol’s Adam Hansen has just completed his seventh straight Grand Tour. Since late 2011 he has ridden the Giro and the Tour twice each and La Vuelta three times – all without a break. He has covered almost 24,000 Grand Tour kilometres in those 2 years and raced an incredible total of 16,059km over 106 days last year alone. In an era of ever increased targeting of races Hansen is a throwback to the classic years of cycling when even the top contenders rode vast seasons covering all events. In a sport renowned as being one of the toughest on the planet, his insatiable appetite for racing the biggest tests over and over again is earning him numerous fans and a reputation of being the hardest of the hard? The Jersey Pocket looked into what makes Hansen tick and found enough surprises to warrant him a place in ‘The Mavericks’. Hansen has often been marked out as being a bit different. The fact that 32 year old Australian chooses to live in the Czech Republic rather than in one of the usual pro peloton hangouts like Girona or Nice is often used to highlight a non-conformist nature. Never shy in terms of doing things his way Hansen’s unique personality has been enlivening the peloton since 2007. Following spells at T-Mobile, HTC and Omega Pharma Lotto, ‘Croc-man’ (as he is known to his team mates) joined Lotto-Bellisol for the 2012 season, just after embarking on his Grand Tour Odyssey. He seems to be very settled with the Belgian squad and this contentment is showing in both the relaxed nature of his interviews and the increasingly successful nature of his racing. Whilst his commitment and focus at the sharp end of a race should not be questioned that doesn’t stop Hansen from occaisionally reminding us that he enjoys his job too. Once they’ve got the number of Grand Tour questions out of the way, most interviews with Hansen tend to focus on one thing. Or rather two things: his shoes. A couple of seasons ago he needed to address an issue with an unusually shaped bone in his foot and so simply took matters into his own hands. 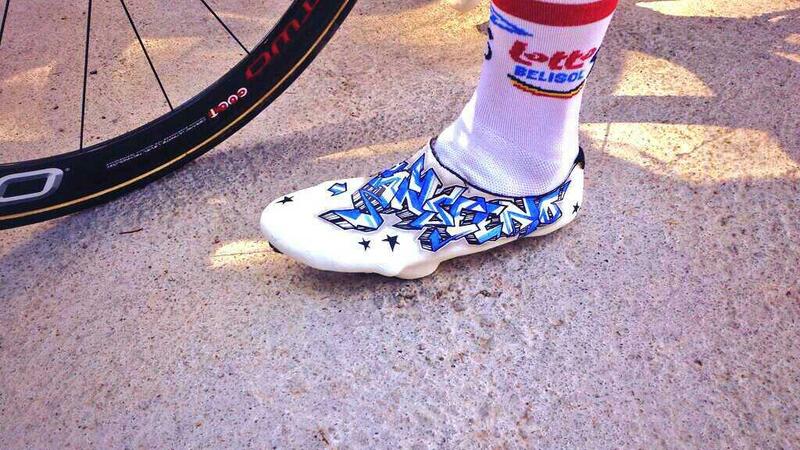 Disregarding the normal route of a trying to resolve the problem with a shoe company sponsor, maverick Hansen took to moonlighting as a cobbler and made his own lightweight carbon fibre slippers. This years version is more developed than the earlier bare carbon prototypes and his Hanseeno brand is now partnering with manufacturers in his adopted home country to bring them to the market soon. For now the company website has images of the shoes and a some T-shirts which are all described as ‘Coming Soon’. I suspect that his partners are waiting patiently for one of Adam’s very rare days off before they can do a proper launch. The shoes have attracted a lot of interest and it will be interesting to see if they can crossover from bespoke fitting to a slightly more mainstream product but retain the unique look and feel. Despite his many, many kilometres wins have been rare for team player Hansen. A breakthrough GT stage win on one of the many rain-soaked days of the Giro d’Italia this year stands out on an otherwise sparse palmares but the signs are there that both Hansen and his team are quickly growing in confidence about his abilities. He featured prominently in two breakaways during the last week of the recent 2013 Vuelta, registering a third place on Stage 18. At a time when we are hearing so much about the ‘fresh legs’ of the race winner, this is no mean feat for someone who has so many miles on the clock. Yet this progression of form seems to be a chance by-product of the amount of racing Hansen has done, rather than the goal for it. It is certain that the extended run of Grand Tours was not a predetermined game-plan. Obviously a man who gets to race so much is a valued member of the squad but when he first suggested that he take on the Vuelta after the Giro and Tour in 2012 they initially thought he was joking. “I asked if I could do the Vuelta and some of the sports directors laughed at me..” It’s yet another measure of his will and determination that he first got them to agree, then performed well enough to do it again this year, and then rewarded them with the best results of his career. The fact that Hansen is still a little way off the record for continuous Grand Tour completions speaks volumes about the even greater amounts of racing that occurred across all cycling formats before specialisation really began to take hold in the early Nineties. The consecutive Grand Tour record is held by Spain’s Marino Lejaretta, who completed 10 back-to-back Grand Tours between 1988 and 1991. It’s only when viewed through modern eyes that such a workload is viewed as something out of the ordinary for a supporting rider. Many equally unheralded riders would have also been on course for similar numbers but will have been thwarted by injury or crashes. In this respect Hansen has been lucky but that element of good fortune should not mask the incredible stamina needed to complete all of the 3-week races time and time again. As usual Hansen takes the non-mainstream view and doesn’t even think of a life constantly on Tour as a hardship in itself. In his words: “You get free food, free rent, free laundry; you get taken care of..” he quips. With this kind of laissez faire attitude it doesn’t require a huge leap of imagination to predict him equalling Lajeretta’s record next year and bettering it at the Giro of 2015. The last word on Hansen again features his tendency do things a little differently. Along with his unusual home location and his home-made shoes, he has gained a bit of infamy for his beer drinking. Not the ‘all-night-bingeing-and-being-found-worse-for-wear-fumbling-with-a-hotel-lift-when-your-season-isn’t-going-very-well’ type of beer drinking that one member of the pro-peloton recently found himself dealing with. Nor even the plain old run-of-the-mill getting drunk at the end of long stage race and falling out of a nightclub type of drinking. Nothing so boring for Hansen, who instead famously downed a beer on the second ascent of Alp d’Huez in this years Tour de France. Having got a feeling for the party happening on Dutch Corner the first time up, he snatched a glass of lager on the second pass, chugged it down and found his maverick reputation rising as sharply as the road to the summit. In these days of in-house team chefs and the ultra careful monitoring of all food and drink intake for fear of contamination, which could feasibly lead to an adverse doping result, Hansen’s downing of a un-checked demi from the 72 hour non-stop party that is Dutch Corner may well have been his boldest move in all of his 7 Grand Tours. 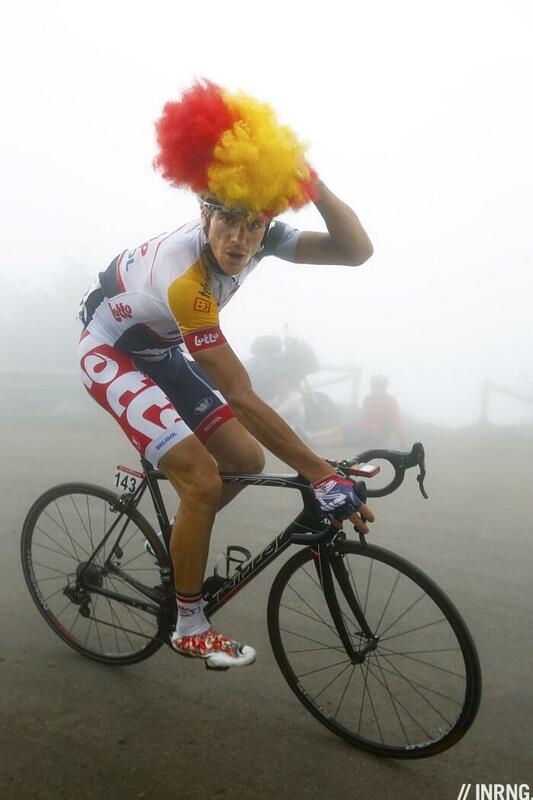 Adam Hansen – ‘A True Beer-Drinking, Shoe-Making, Czech-Living, Seven Consecutive GT-Riding Maverick’ – Chapeau. This entry was posted in La Vuelta, Le Tour de France, Mavericks, Profiles and tagged Adam Hansen, Cycling, Czech Republic, Giro, giro d'Italia, Grand Tour, Hansen, lotto bellisol, mavericks, procycling, shoes, Tour de France, Vuelta a España, Vuelta España. Bookmark the permalink.